We had reported earlierabout the HP Slate that WebOS would replace Windows 7. However HP Slate seems to be plagued with problems. The HP Slate’s Android version that was supposed to arrive at market in the fourth quarter of 2010 but has been delayed and won’t ship before the end of the year as planned! No particular reason was given for the decision but for now the slate has been put aside. 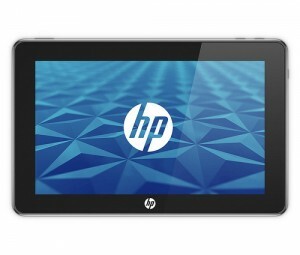 HP however has the WebOS version of the Slate to be released in Fall this year. HP had acquired Palm this year and Palm’s division is diligently working on HP’s new slate with the WebOS. HP has been simultaneously developing slates for three different operating systems–webOS, Microsoft’s Windows 7 and Google’s Android. It is interesting to note that HP has already shelved Microsoft and now Android. With two major players out its only hope is a successful WebOS Slate to be launched that can add some meaning for the acquisition of Palm. Whatever the reason a delay in launch will only lead to longer wait and an advantage for the iPad! Previous Rumor? 4GB Xbox 360 Slim Arcade to be released in August! Next Chicken-Egg Puzzle solved, thanks to Computer Simulation!